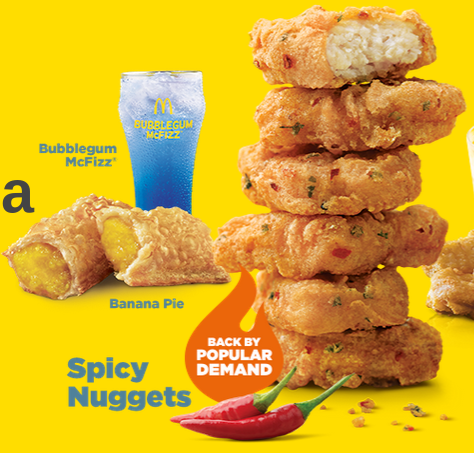 On 18 June 2015, McDonald's Singapore launched a "Minions" promotional meal, which was made up of 2 previously released promo items, Spicy Nuggets, the now extremely common Banana Pie (this seems to pop up every 4-5 months now) and a new Bubblegum flavoured McFizz. I've heard rumblings of the Spicy Nuggets since I moved to Singapore in 2012, but they had never been available during my time here. Online, they have an almost mythical following, some people rank them as their favourite McDonald's item ever, so I was actually really looking forward to giving them a try for the first time because they didn't seem that anything that special to me. 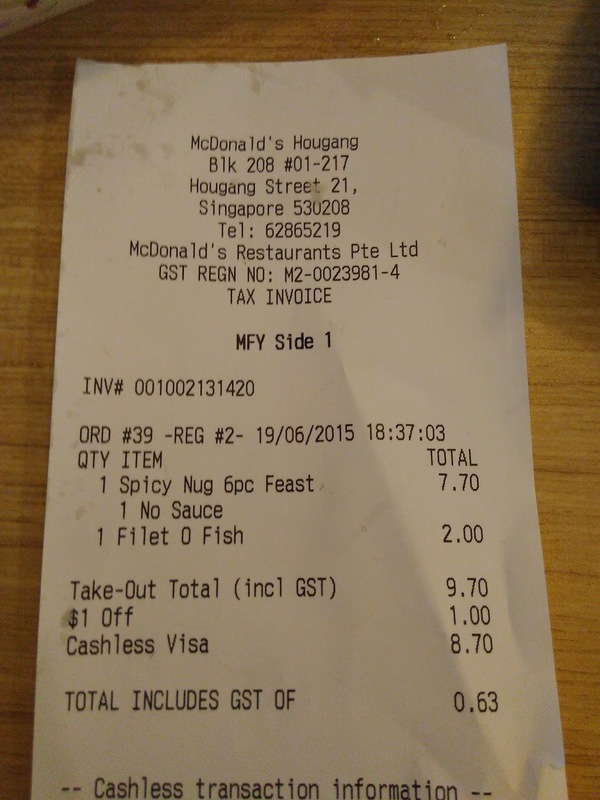 The Wife and I did order the rather expensive $7.70 for 6 nugget combo, since the nuggets on their own were $4.90 and a McFizz was $2.90, so I bit the bullet. The review of the Bubblegum McFizz will come in the next couple days. 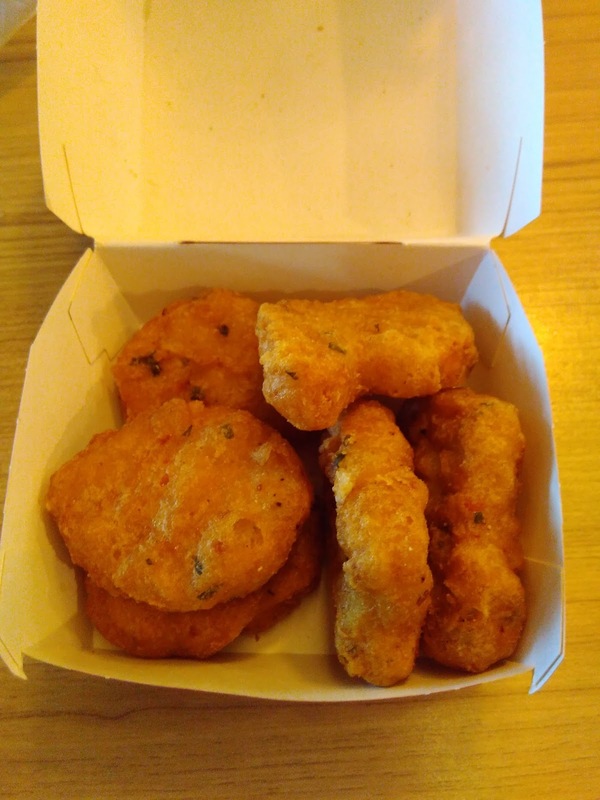 The nuggets themselves were identical in size, shape and odour to "standard" McNuggets. I thought they might have had a chilli powder infused batter, making them look a bit red, but they just had flakes of green and red chilli mixed in the batter. The nice thing was that it didn't look like it was dried pepper flakes, but rather small pieces of fresh pepper like the Sir Sombreros in Serbia. The meat inside wasn't seasoned any different from a standard nugget, but it did look a bit yellow rather than the regular white meat that usually fills a McNugget, although this might have been because I was looking a bit too closely for any change. Once I took a bite of my first nugget I was pretty disappointed and instantly regretted the purchase because there wasn't really anything that made them stand out from a regular menu nugget. Yes, there was a slight hint of pepper flavour, and by the 3rd nugget I might actually say they were spicier than a normal McNugget, but the flavour just wasn't anything special at all. It wasn't like this was a shaker seasoning that gave the nuggets a completely new (good or bad) taste, in the end these were still pretty standard nuggets and because they tasted as such you needed to dip them in sauce. Once you dipped them in the sauce (BBQ in our case) you couldn't taste the pepper in them at all. 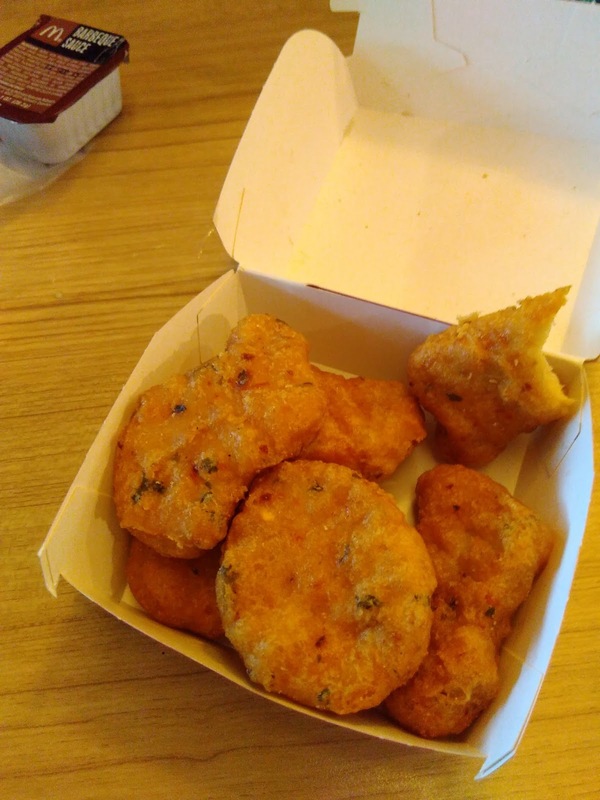 Now, I've never really been a fan of standard nuggets, I find them a bit boring, and I would probably have to eat 20 before I became anywhere near full. 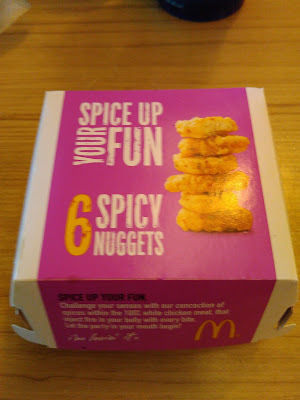 If both options were on the menu I HAD to pick between regular and spicy nuggets, I would probably choose these as it wasn't like the pepper made them taste any worse. But they definitely aren't something I'd go back for. This is also the 3rd "Spicy Chicken" promo item in a row. 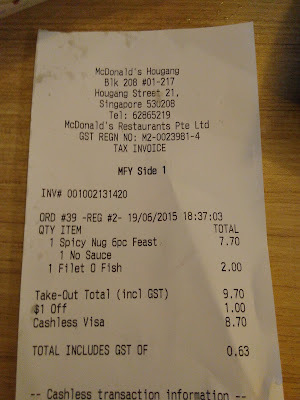 Time for something new McDonald's Singapore! Give me something new and exciting before I leave in August! Where would you be leaving to? I have really enjoyed your posts! 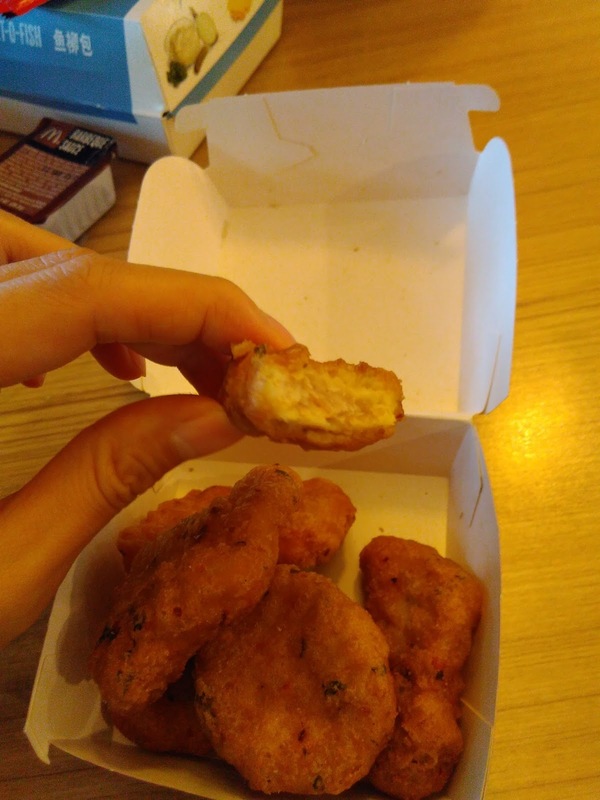 My favorite food in McDonalds. Thanks for showing it here.